Cuban Shores, nail art designs by Top Nails, Clarksville TN. Choice: Shiny Light Turquoise nail w/diamond glue-on, OR w/green/white/sparkly swirls, blue dots, diamond glue-ons, OR, thick black/white horizontal strips, blue/green/sparkly stargazer lily, diamond glue-on. 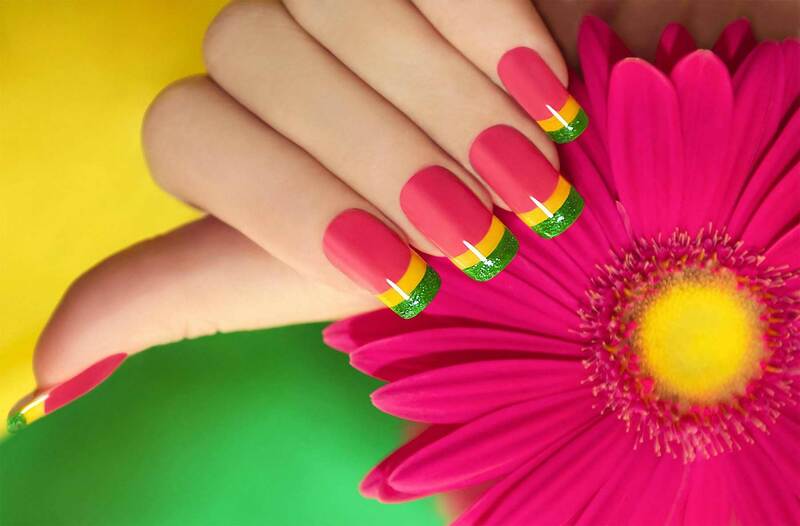 ← Miami Party, nail art designs by Top Nails, Clarksville TN. Gothic Dimension, nail art designs by Top Nails, Clarksville TN. 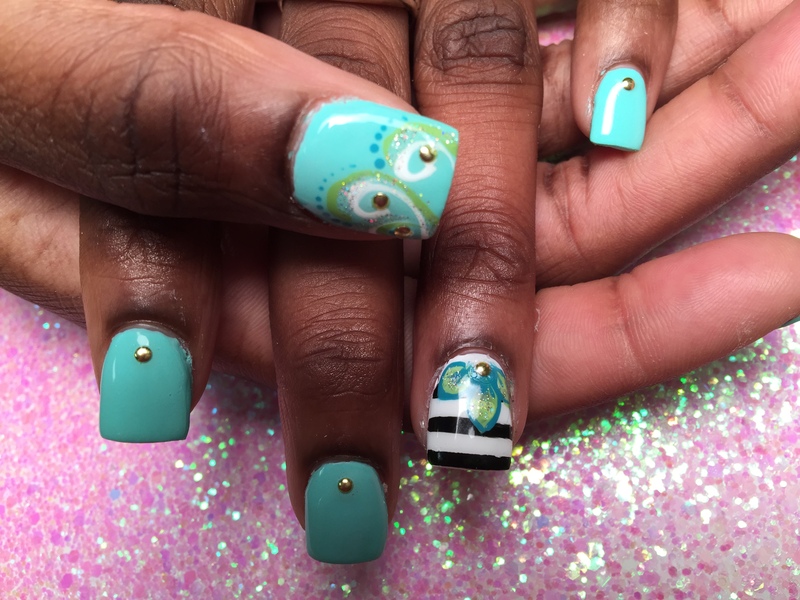 Cartouche Flowers, nail art designs by Top Nails, Clarksville TN. Starlight Stargazer, nail art designs by Top Nails, Clarksville TN. Fairy Tale Flowers, nail art designs by Top Nails, Clarksville TN. Copyright © 2019 Top Nails. All Rights Reserved.